When cheerleading was “born” on November 2, 1898, it looked a lot different than it does today. There were no tiny outfits, no wild stunts and—surprise!—no women. University of Minnesota student Johnny Campbell rallied a football crowd with the ad-libbed cheer, "Rah, Rah, Rah! Ski-u-mah, Hoo-Rah! 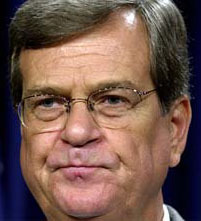 ... Trent Lott, Sarah Bailey Thomas and Dr. Calvin Huey. The images are black and white, and they make an impression. “Don't you love them?” Coats asked. “We have really cool people from Pascagoula.” This is just round one of the faces. Coats said, “We want to plaster Pascagoula with famous people.”. BP oil spill restoration adds $83 million in projects. See if you'll benefit.